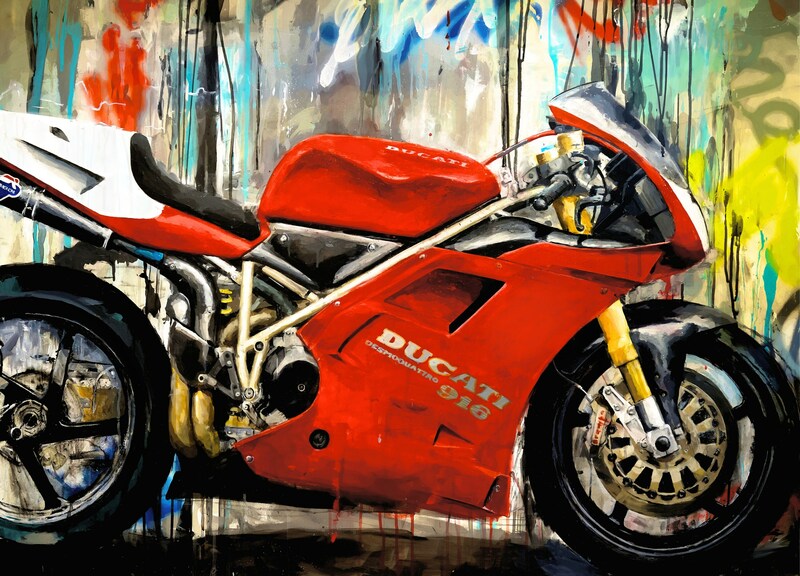 There are few more passionate about Ducati than Dennis Matson, having traveled nearly twice the circumference of the earth on a Panigale, documenting his travels through 25+ countries, 119 states and provinces and over 600 cities. (Ducati was so impressed with his writing and pictures they produced a video of his travels that can be found on their YouTube Channel.) 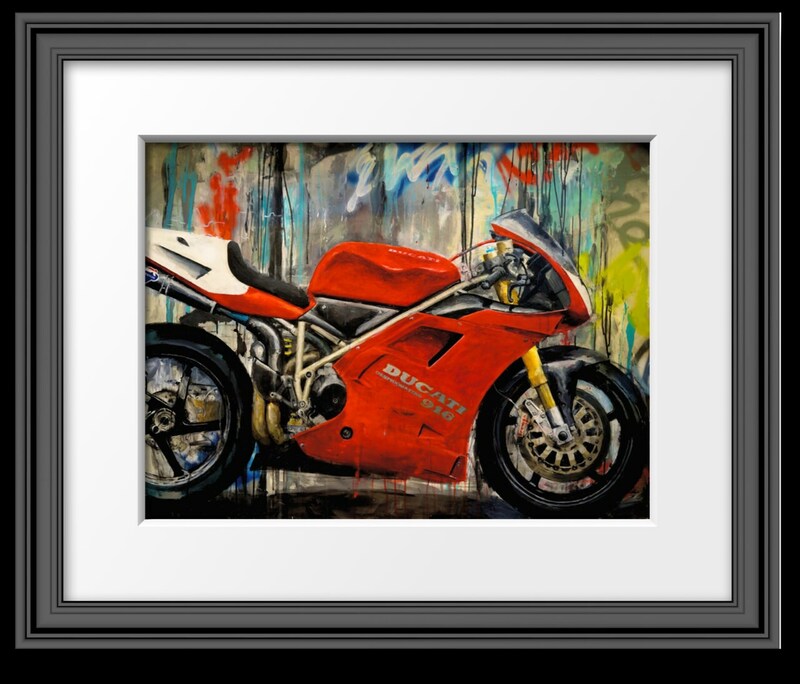 His love for the brand and near-obsessive passion is clearly evident with the style he uses in his artwork. 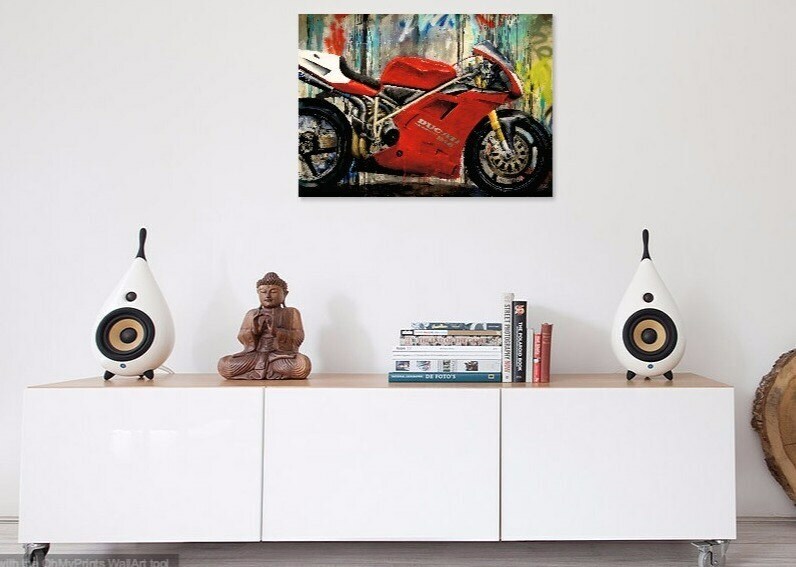 The original 3'x4' Acrylic-on Wood Panel painting is not for sale, but can currently be seen on display at Ducati Newport Beach.